Clearly, the way to talk about your cutting-edge platform for solar power sales is to draw an analogy to what is now a pretty old way of buying airline tickets. OK, that’s a bit of a cheap shot. Making going solar as simple as punching up a PDX-SJC fare – which is what One Block Off the Grid, like EnergySage before it, is now touting with comparisons to Expedia and Kayak – is a good thing. 1BOG has been a bit of a shape-shifter over the years since its beginnings as a company that aggregated buyers in geographical areas to leverage discount pricing from solar providers and installers. This collective-buying model engendered some media excitement, but by 2011 the company was morphing into selling solar systems directly. Then in 2012 the company was acquired by Pure Energies Group, a Canadian firm, and it wasn’t exactly clear what direction 1BOG would move. 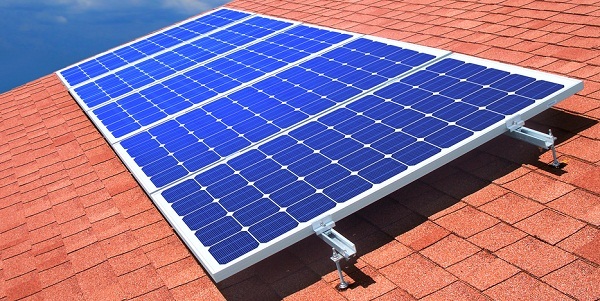 By building on 1BOG’s proven technology platform and partnering with major national solar companies, 1BOG allows homeowners to compare pricing and financial options such as leases and PPAs, much like they would on Kayak or Expedia except they also receive unbiased guidance throughout the process from an independent 1BOG solar specialist. 1BOG told us that so far they have SolarCity, SunRun, SunEdison, One Roof and Clean Power Finance in the fold. And there, it seems, lies the difference between what EnergySage and 1BOG offer. Both sites promise to offer information and guidance, but while 1BOG is concentrating on major firms, EnergySage seems to be getting deeper into markets and recruiting smaller installers onto its platform (it’s also open to solar thermal, small wind, geothermal, biomass, biofuel and combined heat and power systems). And those installers bid for jobs that potential clients bring to the site. EnergySage won backing from the Obama administration’s SunShot Initiative, which is betting that the company can help squeeze cost out of the solar installation process. In the U.S., those costs – including customer acquisition costs – are much higher than in, say, Germany. It will be interesting to see how these similar but somewhat different portals fare. Each is available in a limited number of states (1BOG in all these places, EnergySage in the Northeast and Colorado), but looking to grow.